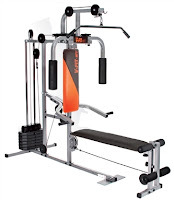 You don't need to join an expensive gym to stay in shape, there is so much affordable gym equipment out there making it easier on the pocket to exercise from home. If you're looking for a gentle and relatively inexpensive introduction to exercise a great place to start is with small weights or equipment such as a skipping rope, exercise ball or a weighted hoop. These types of equipment are fairly low resistance so shouldn't put you off using them. They are easy on the pocket and small enough to put in a cupboard when not in use. Pineapple have a great range of smaller exercise equipment with prices starting from only £6.99. Pineapple also have a great range of resistance bands which are great for increasing flexibility. The cardio range covers equipment such as treadmills, cross trainers, rowing machines and exercise bikes. These larger pieces are a bit more of an investment than some weights, but they are the perfect choice for long term usage at home. It's always worth remembering that a lot of these larger pieces can be folded up and broken down for storage, making them much less cumbersome. The cornerstone of all strength training equipment is a weight bench. 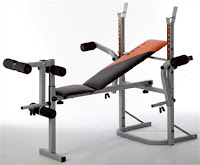 Weight benches can be used with barbells, dumbbells, power racks, smith machines or on their own. The weights bench is the core of any exercise program working out your triceps and chest at the same time. Free weight bench presses will help you increase natural body movement, unlike a bench that is attached to a multi-gym, where the movement is controlled by the machine. A weight bench or a home gym should be a consideration if you are going to focus on strength training. 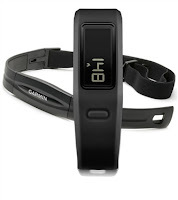 If your choice of exercise is jogging, running, walking or hill climbing or some other out of the house exercise, a heart rate monitor or fitness band would be the perfect item to help you track your progress and monitor your goals.